‘Ethical hacker’ may sound like a contradiction in terms, but as the saying goes, ‘it takes one to know one’. Businesses are increasingly realising the value of employing ‘white hat’ (ethical) hackers to employ the same tools and techniques as the nasty ‘black hat’ hackers, to find and close their IT systems’ security vulnerabilities. demonstrate your expertise, and boost your employment prospects. There is a wide selection of IT security certifications, for all levels of experience, and with various biases towards either the technical or managerial sides. 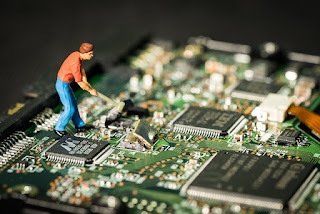 But for ethical hacking the choice is easy, as one certification is regarded as the gold standard: the EC-Council Certified Ethical Hacker (CEH). By way of evidence: on ITJobsWatch, in the past 3 months 258 jobs cited ‘Ethical Hacker’ or ‘Ethical Hacking’, but 343 explicitly cited ‘EC-Council Certified Ethical Hacker (CEH)’. The latest version of CEH, v9, was introduced at the end of 2015, so make sure this is the one you study. It offers incredibly comprehensive coverage of the latest techniques and methodologies, based upon the expertise of the world-leading experts at the EC-Council (International Council of Electronic Commerce Consultants). To give you an idea of the certification’s scope, you’ll gain exposure to over 2200 hacker tools. You don’t need decades of previous experience in order to take the CEH certification. The EC-Council suggests two years’ IT security experience, although this is flexible if you have previous IT-related qualifications. There’s often a choice with certifications whether to take a course, or self-study. With CEH, self-study is rather challenging, because it’s difficult to gain sufficient practice and ensure you are not accidently breaking the law! On an official CEH course, you practice your skills on EC-Council's 140 labs covering a vast range of security vulnerabilities. Ethical hacking, probably more than any other IT skill, requires you to ‘think outside of the box’, so realistic mind-stretching practice environments are essential. Ethical hacking is a creative and exploratory process. Yes, there is a suite of standard tools and techniques with which you need to be comfortable, but a mindset of almost child-like curiosity is essential. You’ll constantly need to find unexpected ways of using existing systems to expose the back doors that everyone else has overlooked. The CEH course places a strong emphasis on teaching you to ‘think like a hacker’. It’s your job to take the red pill, and actively explore how deep the rabbit hole goes. Perhaps as important as curiosity is a strong sense of responsibility. The CEH teaches you the same techniques that ‘black hat’ hackers use for malicious purposes. Consequently, you’re required to sign a form stating that you won’t misuse your knowledge. The Computer Misuse Act, which mandates prison sentences for hacking, has no provision for curiosity or good intentions – so only ever attack live systems when you have explicit permission from the owner! Cyber attacks affected 1 in 4 UK businesses in 2015, costing the economy a staggering £34 billion. The cost of each breach was £1.46 million on average. It’s no surprise, then, that businesses are crying out for skilled staff to combat the problem – and they’re willing to pay. As you may have gathered, the shortfall in certified ethical hackers is rapidly driving up salaries. The current median salary is a very respectable £57,500, having risen from £50,000 two years ago.